There are a lot of design happenings being going around the world and we are making the best possible efforts to enclose all those trends and interesting posts that may educate you, inspire you and that may prove to be useful for you in the long run. You can always bookmark your favorite image or content so not to skip it or get past it ignorantly. Bloggers are totally upfront these days, they know how to make rapid changes, transforming the backdrop and adding fruitful elements to the design blog, so a better amount of audience is achieved. A blog should always encircle genuine and reliable content so to build a good trust and to make a composed stance of the blog. Well these are all the tips to have a good design blog. Let us talk about all those designers who get to meet different and plenty of projects regarding design on daily basis. “The goal of a designer is to listen, observe, and understand”. Trust me, the life of an artist/designer is never easy, he all the time jolts his thinking process and brings out the best from every hemisphere of his brain. Therefore successful end is achieved if he puts forward a thoughtful approach towards each of his design project. 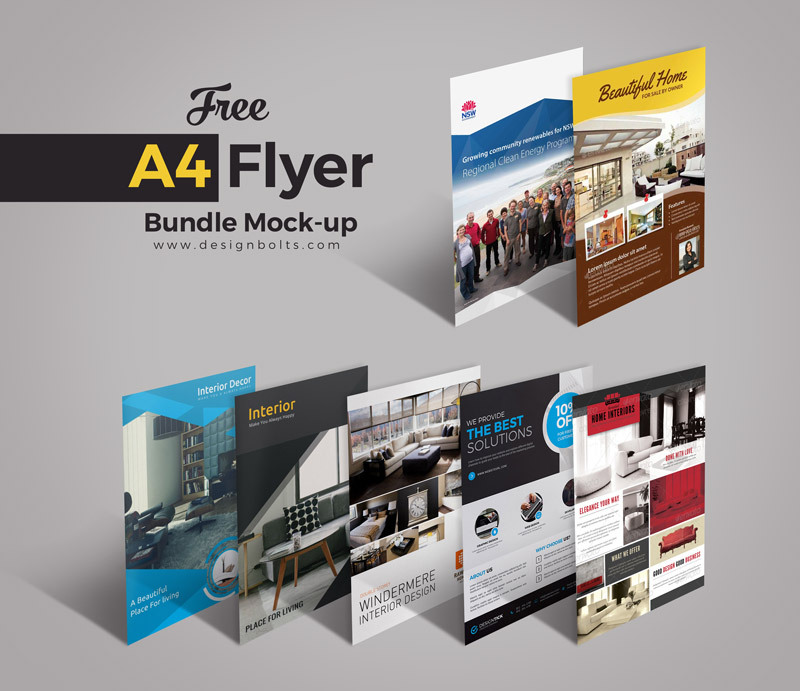 Down here I am putting forward a bundle of free A4 flyer mockup PSD, you can totally insert in your own design elements. Of course designers have to make a diversity to cater the needs, so this bunch of flyers can be easily obtained right through this post. Stick around for more design feed, we believe is excellence and quality of design posts therefore we also give shout out to artist of the month, and all those trends that you should know about, here we go to come right back. But remember, don’t forget to subscribe us for an uninterrupted design parade.